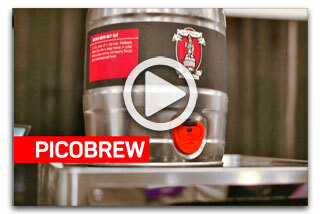 One of the companies demonstrating at this year’s CES Robotics Trends was PicoBrew. Want to brew your own beer and have it taste like a well-honed craft beer? 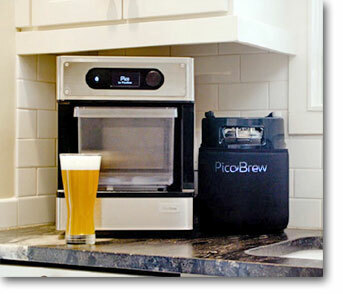 This summer PicoBrew Company is coming out with a countertop version (model S) of their beer brewing machine for $549. It houses the microcomputer, pumps, heating elements and more to make home brewing a ‘snap’. And the taste is up to you they created an app-like marketplace through their website for brewers to sell their craft mixes of hops and grains in what the company calls PicoPaks. PicoBrew also has a web interface that let’s you start with a ‘baseline setting’ beer, such as American IPA, then choose and adjust the hops so you can craft your own unique brew. Yes you still have to let it ferment for 10 days or so, but they’ve made it an easier, faster process. Editor’s note: This tech tip is part 2 of a four-part series and covers why it is important to mount position sensors correctly and how to do it. The other two parts will be published in the next several Mechatronics Sense Newsletters. The first part can be read in the previous edition (Winter 2017). “Non-contacting” stands for the position measurement technology being one without mechanical electrical contacts, e.g. wipers or switches and “touchless” means that there is no mechanical connection between the rotating shaft on the machine side and the static sensor housing. Almost all “touchless” technologies are “non-contacting” ( or “contactless”). All Hall-Effect based non-contacting touchless sensors are made of two parts: the sensor housing itself, consisting of electronics including the Hall-Effect chip, the power supply and circuitry for digital or analog outputs and a magnetic marker, which is mounted on the rotating shaft of the machine. The magnet marker provides a directional magnetic ﬁeld orientation over 360° rotation, which is detected and translated into a deﬁned output signal with the help of the electronics in the sensor housing. Hall-Effect sensors detect the magnetic ﬁeld orientation to obtain a physical position value and not the ﬁeld strength. These sensors also come with smart adjustment electronics to compensate for all kinds of magnetic ﬁeld variations, which include temperature variations and mechanical tolerances of shafts and mounting plates included in the design. Mounting touchless rotary sensors involve four steps: (1) securing the sensing component (sensor) and the magnet properly, (2) selecting a magnet size based on the proximity the magnet is to be mounted to the sensor, (3) taking into account if your application is measuring with a material/surface between magnet and sensor when selecting magnet size and (4) ensuring proper alignment between magnet and sensor. In tough environments, sensors and other exposed parts are put to the test. In mobile applications, and in industrial environments they are often exposed to moisture, salt, vibration or shock. Under such harsh conditions, they must not only prove their reliability and longevity but, in this case, sensors must supply the machine or vehicle control with accurate measurements. This is especially true for applications that are likely to be exposed to extreme environmental conditions. Even in these environments you don’t have to give up precision at all. High-precision potentiometers with robust designs can operate within a linearity of +/-0.1%. Contacting angle sensors that are able to function properly in these environments have features that include cast housing that is water-resistant, a single-stage spur gear with particularly high-precision fit and a heavy-duty bearing that provides for a high radial load. For the most extreme environments a stainless steel shaft and anodized aluminum housing provide protection and durability. One typical application for these kind of sensors is acquiring the position value directly on the steering axle of electro-hydraulic steering systems. 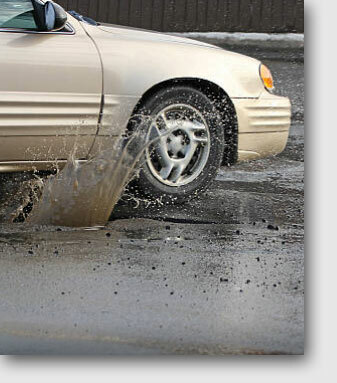 Potholes, road salt and other types of exposure directly above the road surface have no effect on well-designed potentiometers in this category. Heavy-duty rotary potentiometers are available for electrical measurement ranges from 0 to 120°, 200°, 350° and 360°mechanically they are fully rotatable. Most Novotechnik heavy duty rotary potentiometers are available in single- or dual-channel design for redundancy with two separate connections and most meet protection class IP67 or IP69K. Novotechnik rotary potentiometer models designed for extreme environments include the following Series: RSX-7900, Vert-X 3700, Vert-X 5100, Vert-X 8800, IP 6000, IPS 6000, AW 360, AWS 360 and IPX. If you have a question about position sensors for your specific application, Novotechnik engineers would be glad to speak with you. 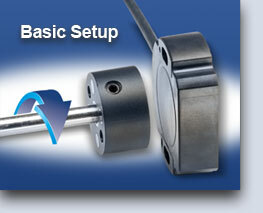 Contact us at Email Novotechnik info@novotechnik.com or call 800-667-7492.